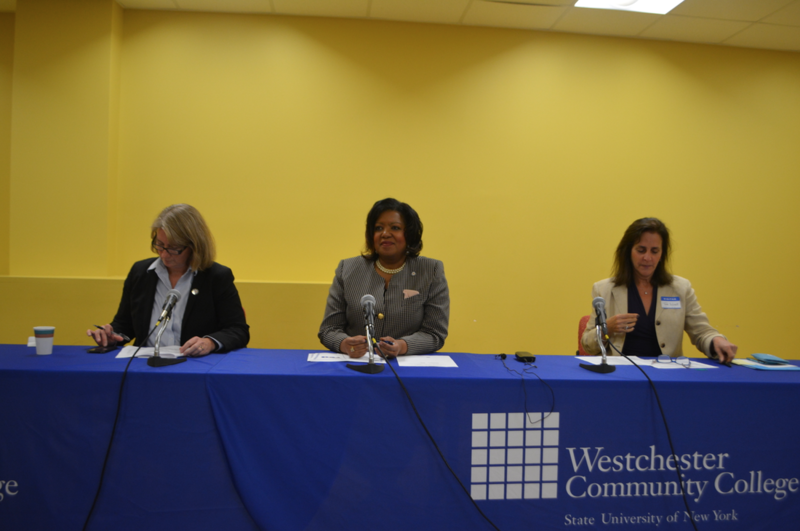 On Wednesday, October 18, Westchester Community College Mount Vernon Extension was the site of a community conversation about “The Future of Education and the Workforce” – hosted by Westchester Community College President Dr. Belinda S. Miles. The purpose of the community conversation was to get input from community members on how best the college can prepare local students academically prior to them entering today’s very competitive workforce, or transferring to a four-year college. 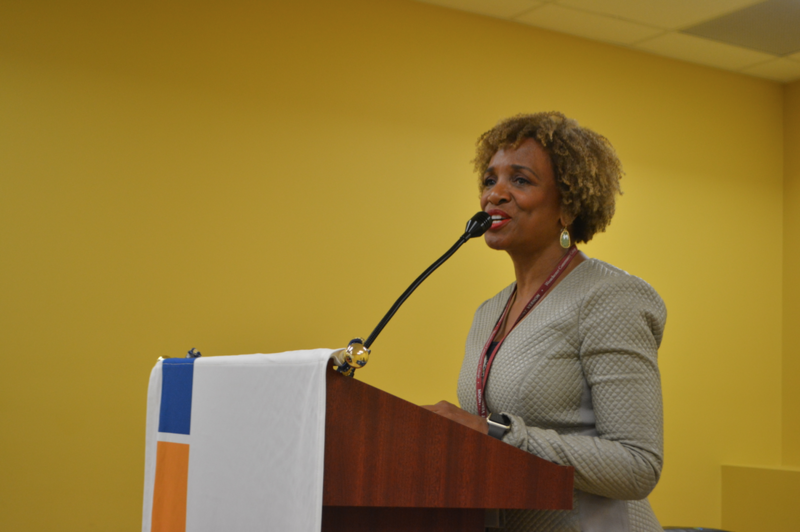 Acting as the Mistress of Ceremonies was Francine Carl, Center Director, who opened with welcoming and informative comments about the Extension Center. “The Mount Vernon Extension Center of Westchester Community College is here to support the education and workforce needs of the Mount Vernon community,” said Carl. 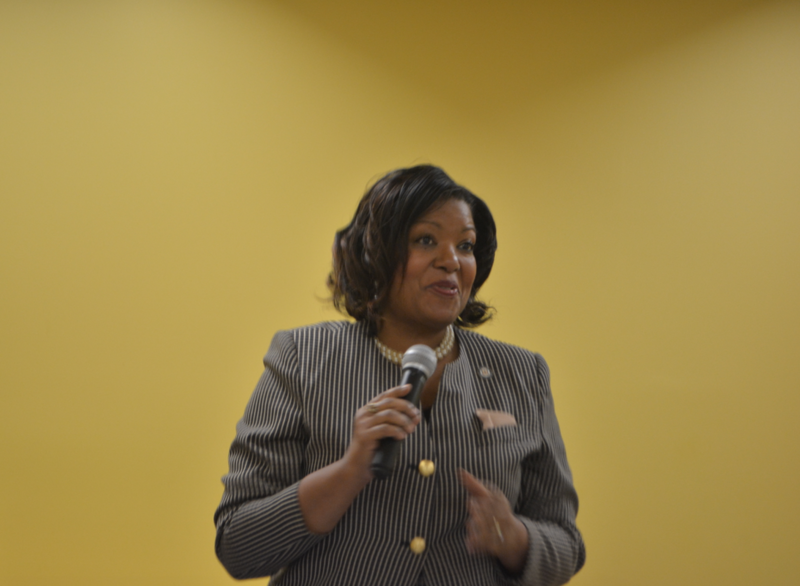 The forum attracted many city officials, business owners, dignitaries and Mount Vernon citizens. One by one, a panel consisting of Dr. Miles, Dr. Vanessa Morest, Provost and Teresita Wisell, Vice President, Workforce Development and Community Education, apprised the standing-room-only crowd about their duties with the college prior to taking questions from the audience. “The Mount Vernon Extension Center of Westchester Community College is conveniently located only a short walk from City Hall. Or modern facility is equipped with smart technology classrooms, a comfortable student lounge, spacious computer labs and a large lecture hall. The center offers students a wide range of courses in general education, liberal arts and ESL,” said Dr. Miles. Although not mentioned at the forum, Teresita Wisell was recognized at the White House in 2014 for supporting citizen education at Westchester Community College. She was one of five people honored at the White House for promoting citizenship in the workplace. "It is such an honor for me to receive this White House Champion of Change Award on behalf of the work that we do at Westchester Community College to support citizenship education of our employees, students and their families," she said in a statement at the time. "Community colleges have the power to positively impact the lives of thousands of individuals on a daily basis in a variety of ways." After Wisell addressed the audience, the panel took endless questions and comments from the audience. At the conclusion of the forum, lunch was made available to all who attended the very enlightening so-called community conversation.